Amaze all your friends with the Stargazer UV Hair Gel which Glows under UV Lights and will show off all your funky and vibrant colours. Stargazer Hair Gel is only for temporary use and is available in 7 bright UV neon colours. 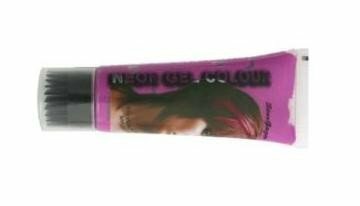 Stargazer cosmetics have now added a new application system to the gel tube which can help to put some fantastic UV colour styles in your hair. After use simply wash your hair and the gel will wash out. This product can be used on short or long hair.